Yep, Philly Cheesesteak Pringles, a flavor that I would never think of making a chip out of. In fact when I checked out at Shop n’ Save, the Cashier said ” Oohhh, ewwww…. uhhmmmm…. 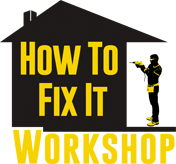 Have you ever tried those pringles?” I said, “no, but I just had to get them”. Then she said, “Well, I like philly cheesesteaks & I like pringles, but that doesn’t sound good at all”. It was the first time I’ve ever had a cashier ever tried to talk me out of a sale. Maybe she was trying to save me from a horrible fate. 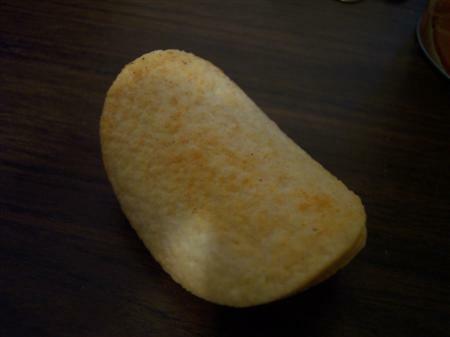 The look of the chip itself looks exactly like a normal seasoned pringle should look like. 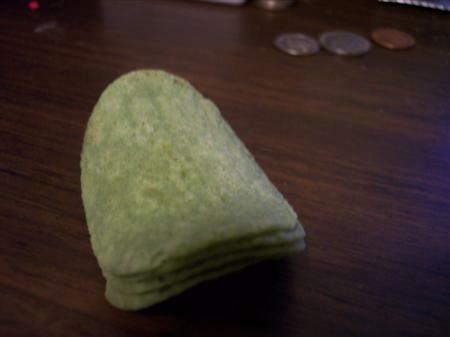 A little springle of seasoning on a tan colored chip. The taste on the other hand. Hmmm.. How can I describe it. It tastes like a garlic flavored cigar. In other words Its not very good. I would guess that licking an elephants testicles couldn’t be much worse. I gave my dad one of the chips. He had no idea what flavor it was, but he seemed to enjoy it. He thought they were toasted garlic bread chips. 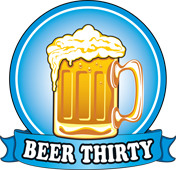 I guess your taste buds just go when you get that old. He seemed to be confused when I told him the actual flavor. Knowing that I couldn’t just buy 1 can of Pringles, I saw these on the shelf too, Spicy Guacamole Pringles. I have never seen these before, but there was no indication on the label that these were new. I guess part of the reason for purchasing these was because of the color. I mean, they’re green! They look like a moldy potato chip. They actually aren’t too bad, especially compared to the philly cheesesteak chips. These chips taste pretty close to Guacamole. 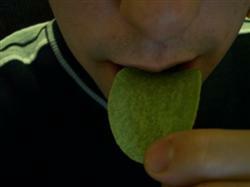 Although, they taste more like the Hint of Lime Tostitos. I don’t think I’d ever buy these again but they aren’t as rancid as the Philly Pringles. Well, that’s my mini review of a couple cans of Pringles. The moral of this article is don’t buy chips that are flavored with meat. 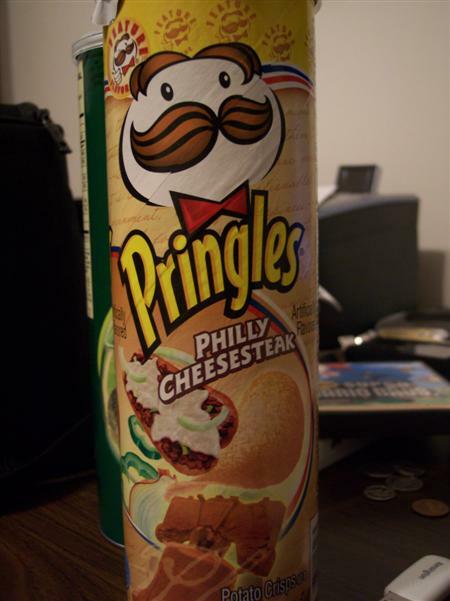 just finally had the philly cheesesteak pringles.. – ugh! 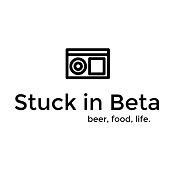 not a fan..
Actually the spicy guacamole flavor is one of my favorites… a staple at parties. I would be verrry wary of the philly cheesesteak. There is also a dill pickle variety…. ewwww. 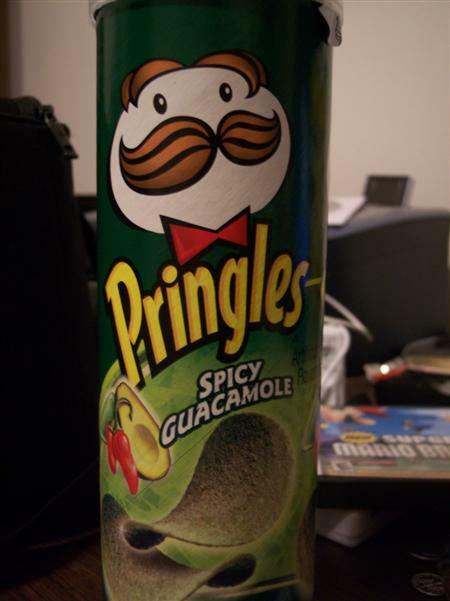 Are spicy guacamole pringles available for sale anywhere, anymore? Where? I’m back from Vegas. I had a great time! Until I’m done editing pictures & videos from the trip, here’s a mini review of a couple strange Pringles flavors.